During the 80s and the 90s, people’s love for electric guitars were slowly building up and those who play electric guitars have greatly experimented with how they produce their sound. A guitar player’s love for distortion pedals was limitless. Whatever your musical genre was, a distortion pedal was used to achieve a much “distorted” sound that appealed to a majority of the audience. Whether it was Grunge, Metal, Punk, or Rock, distorted guitars were always present. They have been the norm. 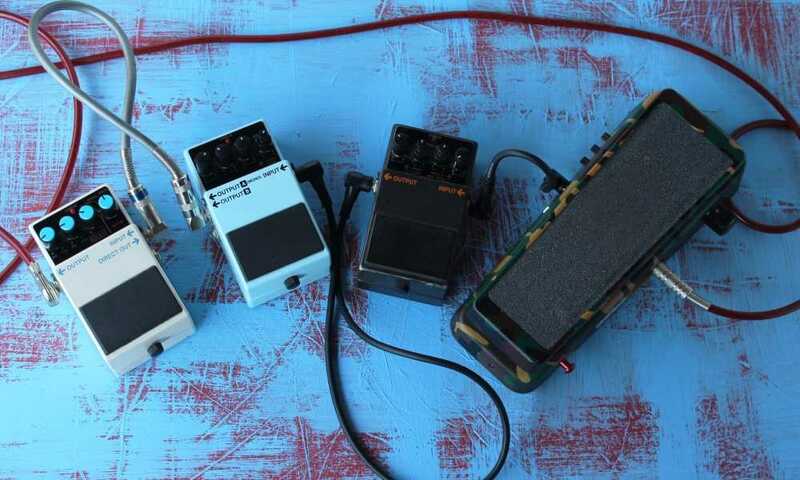 Furthermore, this article aims to provide you with the settings used in distortion pedals and some of the best practices to ensure that your distortion pedal is at its best performance. For pedal cabling between pedals, it is highly recommended that you look for patch cables that are shielded. Shielded patch cables are practically noiseless. 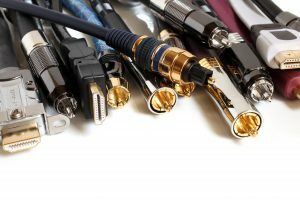 You also want a patch cable that is low capacitance, too – don’t worry, this does not cost much. In fact, you can buy them in cheap packs of three. The pedal couplers will most likely have the same effect as cabling. Generally, pedal couplers reduce the noise between pedals. During the rise of electric guitars, the majority of guitarists heavily relied on high gain and distortion to get across to the world their playing style. In order to do so, they became familiar with the basic distortion pedal settings and practices. By understanding the distortion pedal settings and practices, you can understand how to properly utilize your own distorted tone. Counteracting song intensity can be done through gain. There is no general rule to this but you can be sure that with constant practice, you can achieve reliable tactics. One of those tactics is your gain. Gain can either be from your pedal or your amp. This is used to counteract the intensity of the music that you are producing. So if you are producing music, make sure that your gain set inversely. Consider this: if you are playing and you are up to the part where the drums are going crazy, really loud vocals and then there’s the piano, avoid the distorted guitar. Why? Because the song doesn’t need any more “distortion.” Too much distortion would cause a song to sound muddy. There are distortion pedals that do not really produce an aggressive distortion. They have a good quality tone and the control is pretty much straightforward. We can use this to dial in a more subtle overdrive. Cut the distortion knob and make sure to cut it all the way up until 9 o’clock. Be sure that the tone knob is a little higher while the level stays at the halfway point. 3 – 4 – 5 is a lot easier to remember, right? With these settings, you can gain some edge and add some funk to your tone but not too much as to take away the “cleanliness” of the music. This is also an ideal setting so that you can avoid over-saturating or producing “noisy” music. 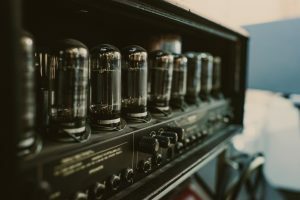 Be sure to lean towards the low-end because no matter how much gain you have used, your distorted tone should always have a thick quality to it. It should be able to sound heavy and more low-end. Make sure that you always look for a fuller tone to mask the distorted signal. If you are using a distortion pedal, make sure that that pedal is not clashing with an opposing tone on your amplifier. If your amp is set to a high tone, your pedal should be able to compensate with something low. You would want the two to be in harmony. 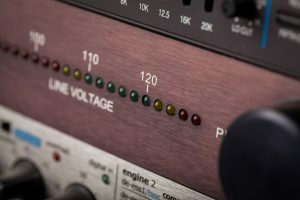 In order to add more substance to your delay, make sure to clean the amp signal, it should be coupled with a good bass tone. The gain would give you volume to your delays making it more recognizable and distinct. Overall, you would want a gain that is not too saturated, has limited sustenance, and a clean sound. If you have a very heavy distortion, chances are your sound will appear messy. You may have to undergo some trial and error but hey, practice makes perfect. 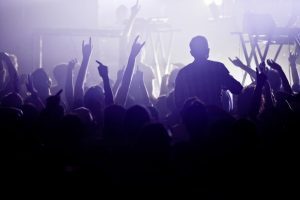 Mastering the choice between settings makes the time it takes to do so undeniably worth it because of the improvement it can contribute to your playing.